X-Men: Evolution had 4 seasons with 52 episodes total, now available online. The show features the first appearances of many X-Men characters in animated form along with some new additions to the cast, like Wolverine’s clone X-23. She’s since gone on to become a very popular character in the comics. Evolution is the third longest running Marvel show, behind the 1990s X-Men and Spider-Man series. 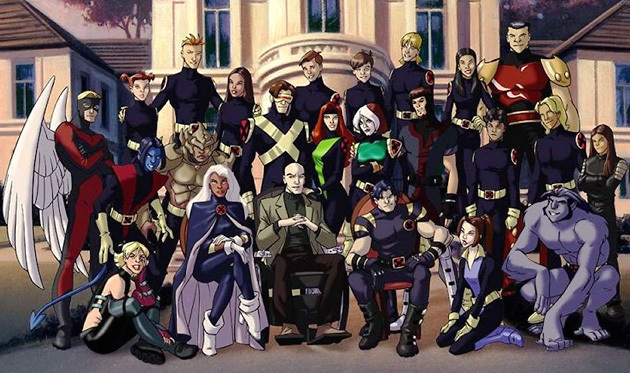 X-Men: Evolution won the award for Outstanding Achievement in Sound Editing – Live Action and Animation at the 30th Annual Daytime Emmy Awards, on May 16, 2003. It also won the Cover of the Year Award in 2004 for best animated figure for Beast. It was nominated for several Golden Reel Awards, as well as other Emmys. Steven E. Gordon, the director of this show, was nominated in the Production Design in an Animated Television Production category for X-Men: Evolution at the 2001 Annie Awards. So check it out! After all, it’s free. Looks like some great animation. well, it was fun for a minute, but still a kids show. Won’t keep me for long. haha, it got to be a bit much for me a little quick. But I’m sure I’ll have moods where I really want to watch an x-men cartoon. Right now, I couldn’t even keep watching B5, just trying to concentrate on some tricky books. A lot of the ones I have to do left are weird ones. This is actually a pretty good series! Actually, hair follicles get oxygen from the blood stream, rather than from the air (much like how a plant gets water from its roots and not its leaves). I comment when I especially enjoy a post on a site or if I have something to contribute to the conversation. Usually it is a result of the sincerness displayed in the article I browsed. a thought :-P I actually do have a couple of questions for you if you usually do not mind. Finally, and perhaps for others most importantly, you need less responses to make a sale. sale. The services and the mailing lists they offer. target market would like and patronize.